Nurturing a love for reading. Progression in reading comes with enjoyment – and we aim to do everything we can to encourage children to discover a love for reading, and to read in their own time. This starts with the Ready, Steady, Read reward scheme – and integral part of our programme that’s designed to give children the encouragement they need to keep reading, and to develop their literacy skills. 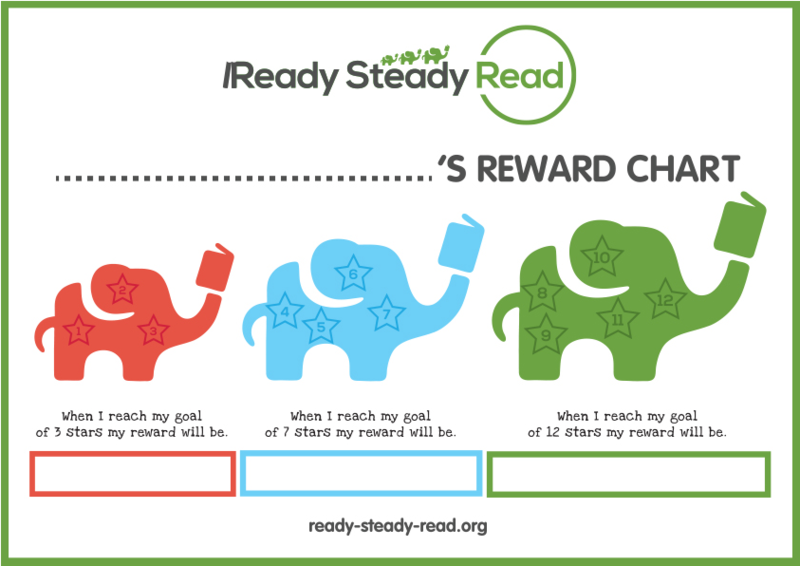 Every child we work with gets their very own chart – and every time they read with us, they get a sticker. As a child progresses and reads more with us, they work towards a series of prizes, culminating in a free book they can take home. The reward scheme is included as part of our support, and is completely free of charge – we provide all the charts, stickers and prizes.